SOMEHOW, WE WERE ABLE TO TRACK DOWN EACH OF OUR VERY BUSY SCHOLARS TO ASK THEM EACH FIVE BURNING QUESTIONS ABOUT THE OPERA INDUSTRY, AND WHAT THIS YEAR ENTAILS FOR THEM. 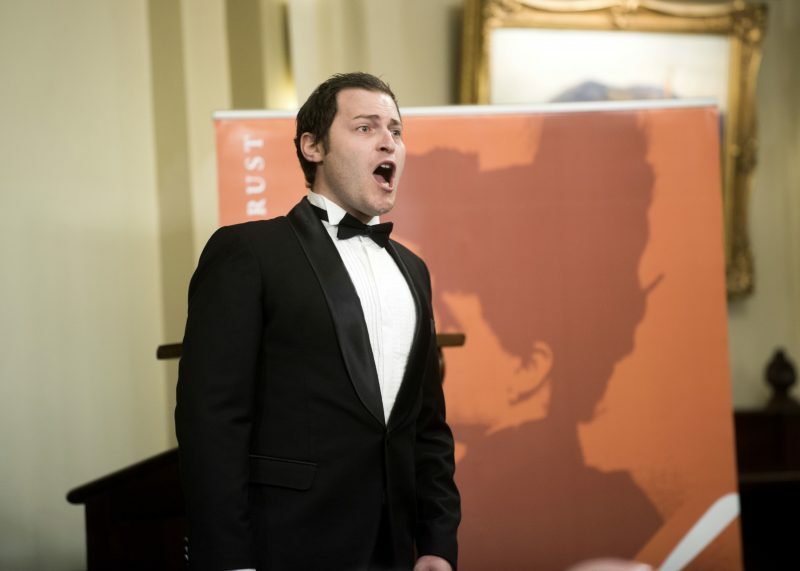 TODAY, WE CHAT WITH TENOR, MICHAEL PETRUCCELLI. This year, you are making your company debut with Opera Australia as part of Sydney Opera House – The Opera (The Eighth Wonder). Can you tell us a bit about how you came to be involved? How I came to be involved in this production came as a bit of a surprise to me. It really was a whirlwind moment. In early November 2015, I performed in my Master of Music (Opera Performance) developing artist showcase performance, Seven Deadly Sins, with Victorian Opera. A few days after this performance I was emailed by Opera Australia asking me to present a stage audition at the State Theatre the next day. Of course I said yes to the audition, and I received a contract for Sydney Opera House, The Opera two days later. I was informed later that one of the artistic members of Opera Australia was in the audience at that artist showcase! You never know who’s watching! You’re currently a young artist with the Victorian Opera, and you recently starred as Beppe in I Pagliacci. Tell me about the role, and the rehearsal process. Beppe is a member of the touring Commedia dell’Arte troupe. He is the mediator within the troupe, presenting as a respectful man, who treats others as he wishes to be treated. In the “play within the play” component of the opera (in act two), he embodies the mischievous Arlecchino, the harlequin. However, he cannot prevent the tragedy that occurs at the end of the opera. It was a joy rehearsing and performing this role. I have to admit, there were some testing moments trying to fuse the grand art forms of circus and opera, but it was a process that I have learnt from and will remember fondly. And when we finally put the show onstage, I was allowed the freedom to run around, play with the chorus and sing the wonderful arioso ‘O Colombina’ with a fake mandolin, atop a balcony. What more could you want! As a first year scholar with the Melba Opera Trust, what has been your favourite mentor block so far, and why? My favourite mentor blocks have been the two that have included workshops with Chuck Hudson. These are not easy weeks, but they are a good mix of physical learning (for example in our most recent time with him we explored how different walking styles could create different characters), acting theory and aria coaching. I have now worked with Chuck on four separate occasions and I continue to pick up different skills and ideas from him each time. When you’re not in the practice room or on the stage, where can you often be found? I love food! So I enjoy exploring new and exciting restaurants around Melbourne with my fiancée. And to balance this, I love playing a bit of sport. Basketball is my game and a try to get on the court as often as I can. I also enjoy a bit of table tennis as well! If you could only pick one, what is your bucket list operatic role? This is always a tough one. At this moment I would love to perform Count Almaviva from the Barber of Seville. It is a very good sing, and you can also have a bit of fun on stage as well!